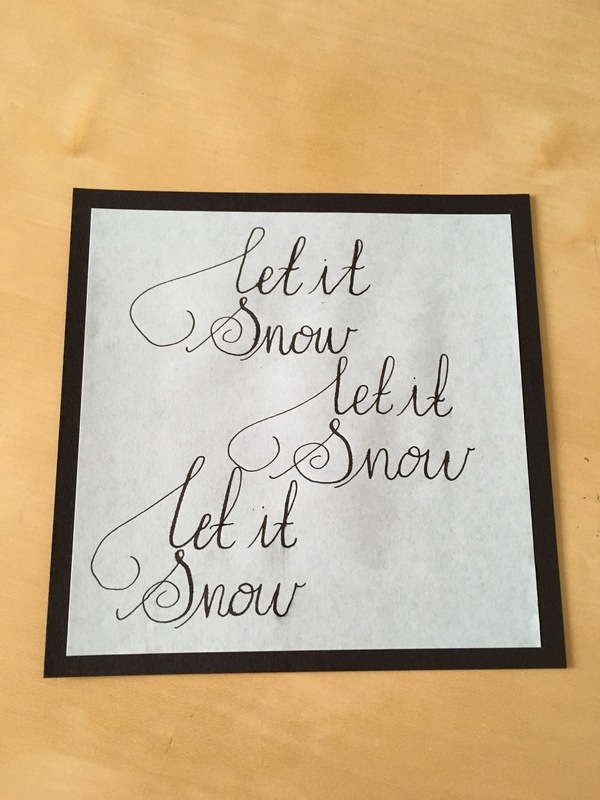 I wanted to share a more detailed post on how I make a card, so I picked a Christmas card that I made today to share. The basis of the card is a piece of calligraphy. This is written in the copperplate style. I used my pointed pen with a Brause no.361 nib and used black calligraphy ink. The paper is blue Basildon Bond paper. 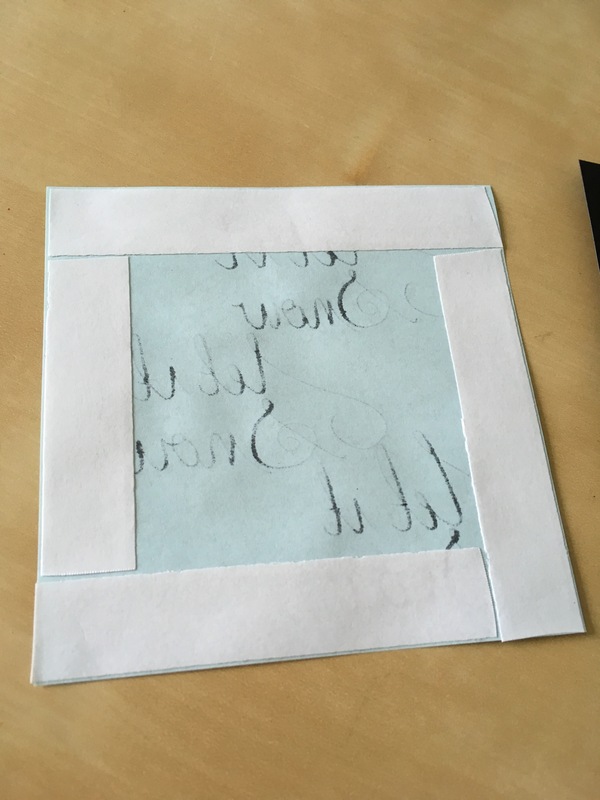 To make the lettering into the centre piece of the card I cut it into a square 11cm by 11cm. 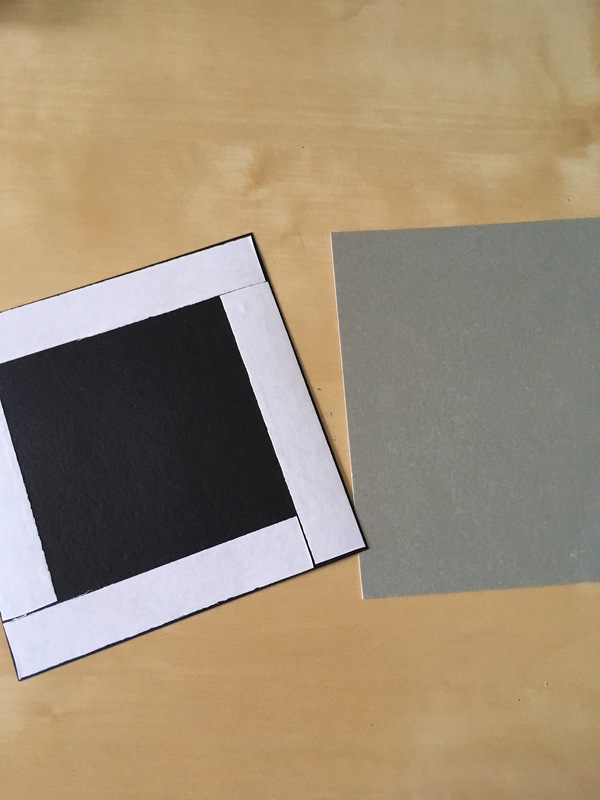 My design for the card was layered colours and so I also cut a black square of card 12×12 and a silver square of card 13×13. 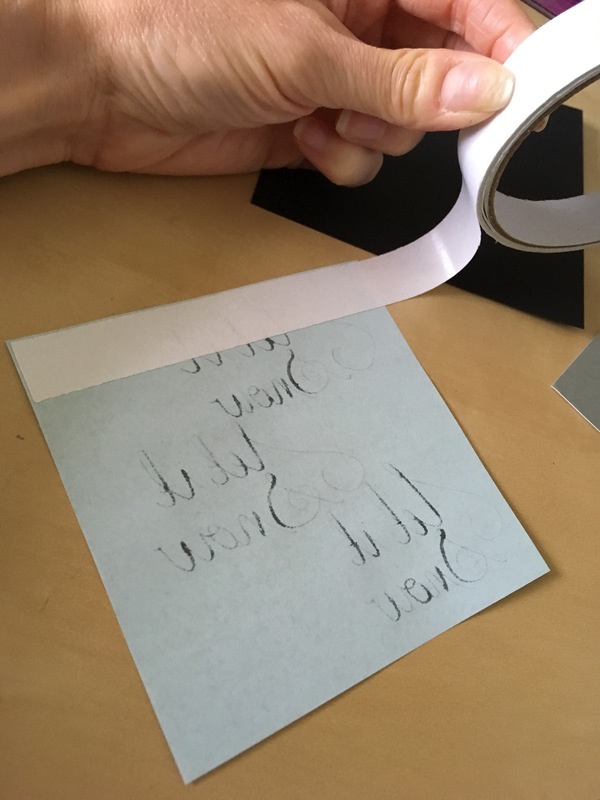 To stick the layers together I use double sided tape. I apply to each edge and cut with scissors. It can be ripped by hand but I think it gives a cleaner finish to cut it. I then peeled back the coating and stuck the blue paper in the centre of the black card. You can apply the double sided tape to each piece of card at the same time but I find it makes the cards quite slippy when sticking the smaller cards to the bigger pieces. I tend to tape one piece, stick it to the next layer and then tape the next piece. I then applied double sided tape to the back of the black card for the next layer. 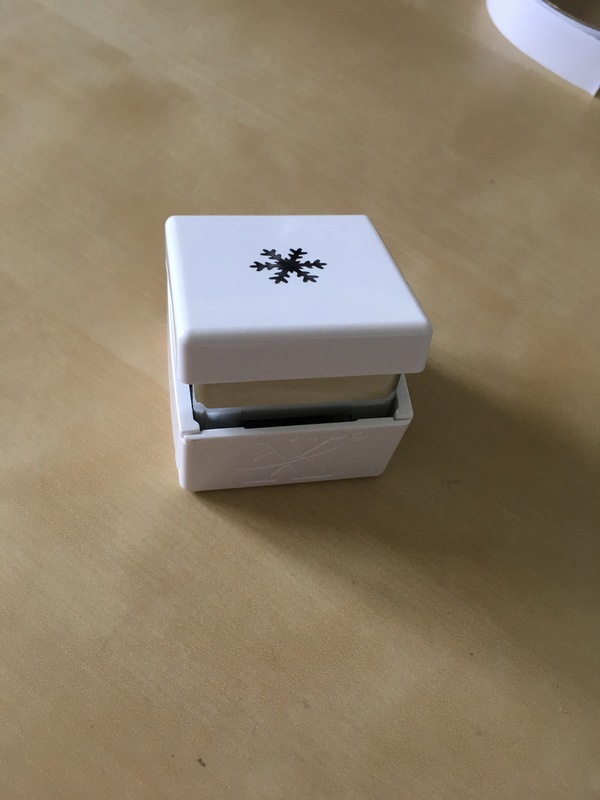 And then once the black card was stuck to the centre of the silver card I applied d/s tape to the back of the silver card too. This then created the three layers of the card centre. 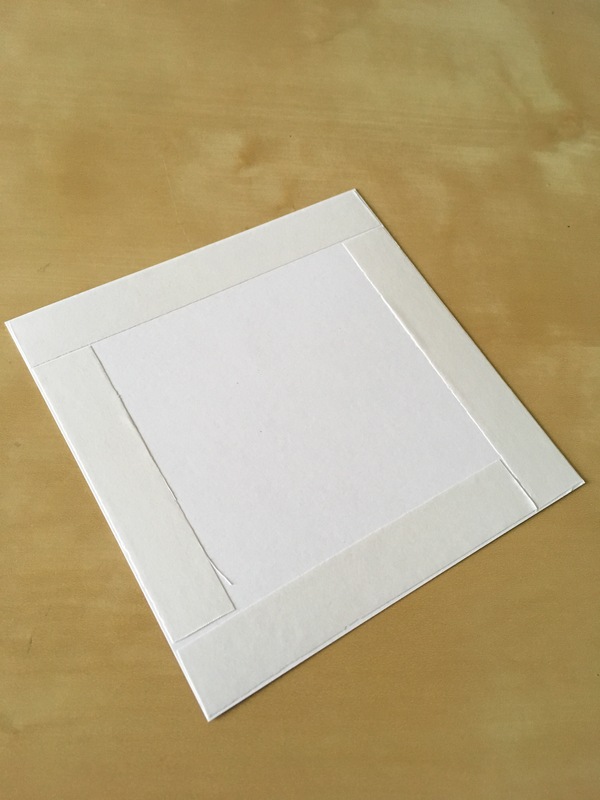 Taking a folded 6×6 blank white greetings card I place the layers of card to see where they looked best. At this point I had not removed the coating from the d/s tape on the back of the silver card. I felt it was lacking a little something so I peeled back the tape coating and stuck the layered card to the card base. 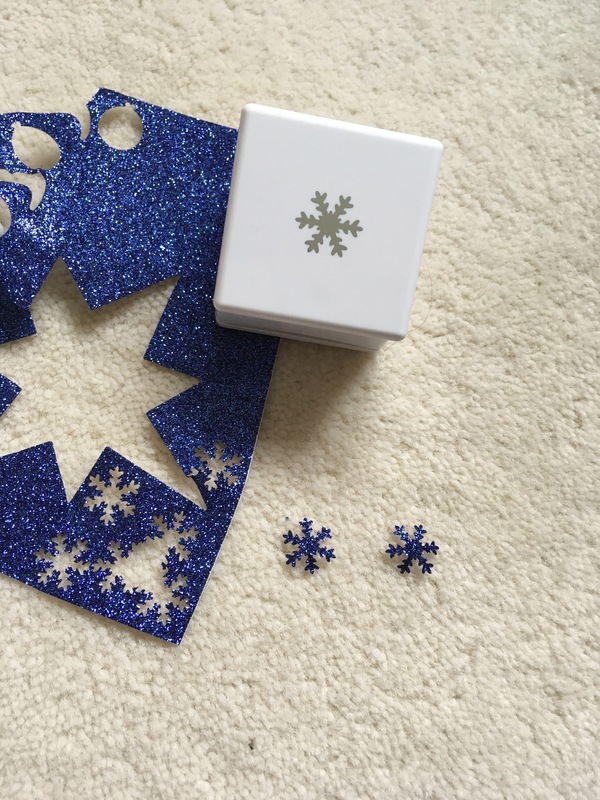 I then used an X-cut palm punch in the shape of a snowflake to cut out three small snow flakes. 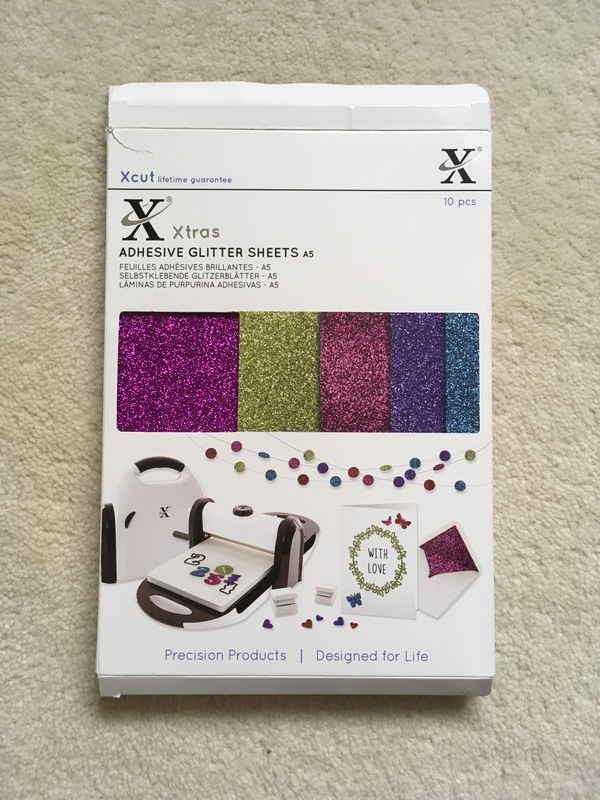 I used X-cut glitter paper, which is pre-glued so it can be stuck straight to your projects. 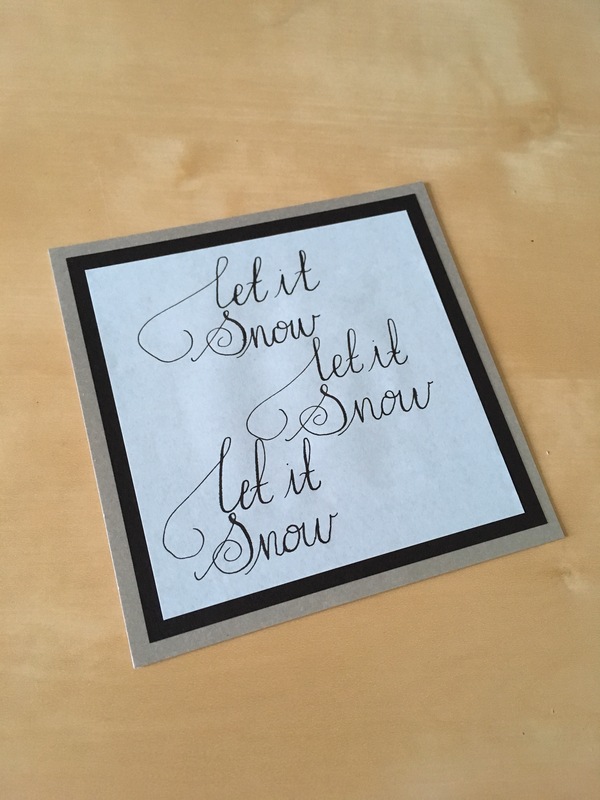 I peeled the coating from the snowflakes and stuck them to the card to line up with the three sections of lettering. And so, here is the final card. I placed it onto a navy A4 card, layered a grey ribbon underneath and added 2 butterfly shaped clips to stage the picture. I hope you found this more detailed post useful. 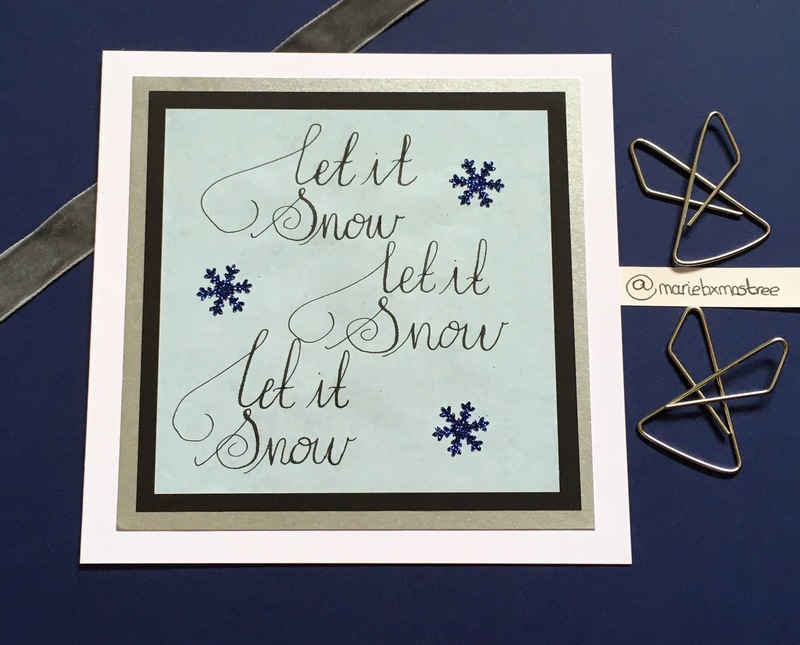 If you try this card I would love to see what you create, please feel free to tag me in to your post. Please note; this post is not sponsored, all products used are from my craft stash which I have bought over the years. Other products can be used to create the same/similar effects. 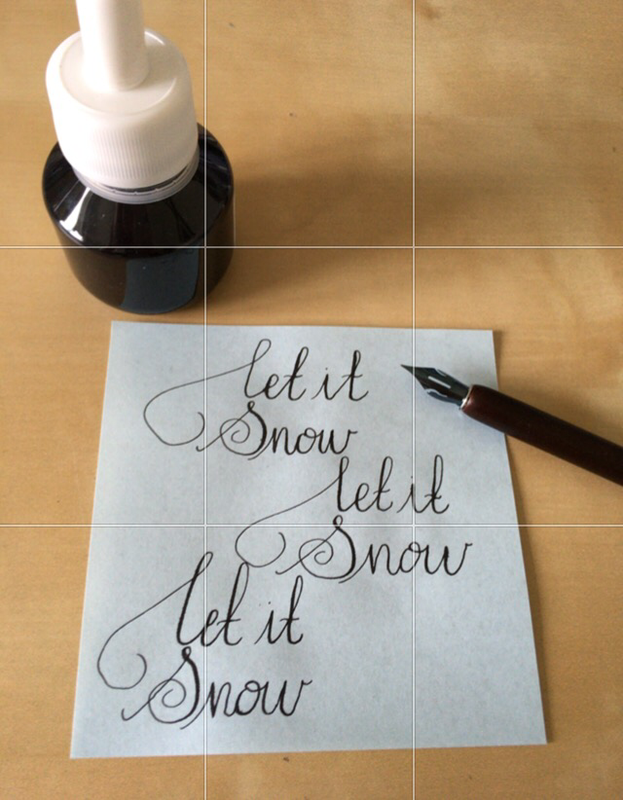 Previous postCalligraphy practice came good today. What do you think? 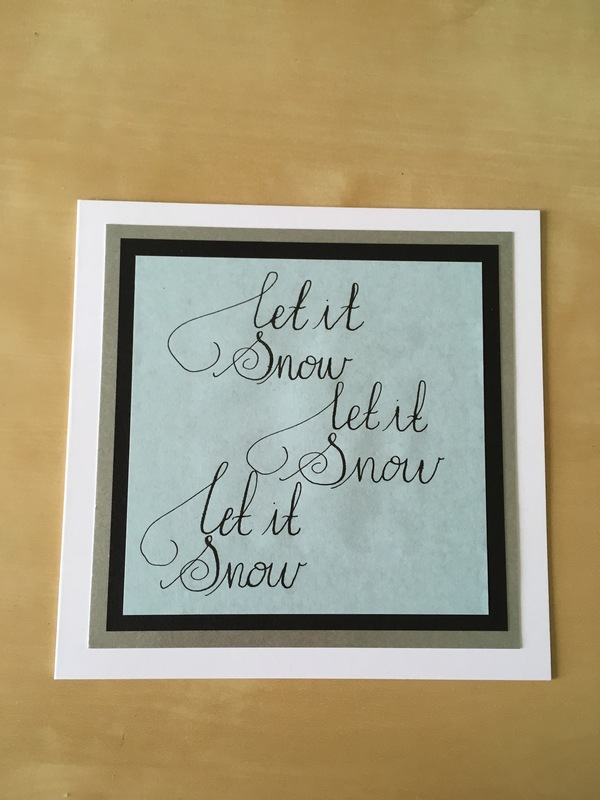 That’s a lovely card, Marie – from such a simple idea. I love minimalist! Thank you Lynne, I really appreciate your feedback. Thank you also for taking the time to read my post.